Our Costa Rica trip was extraordinary. 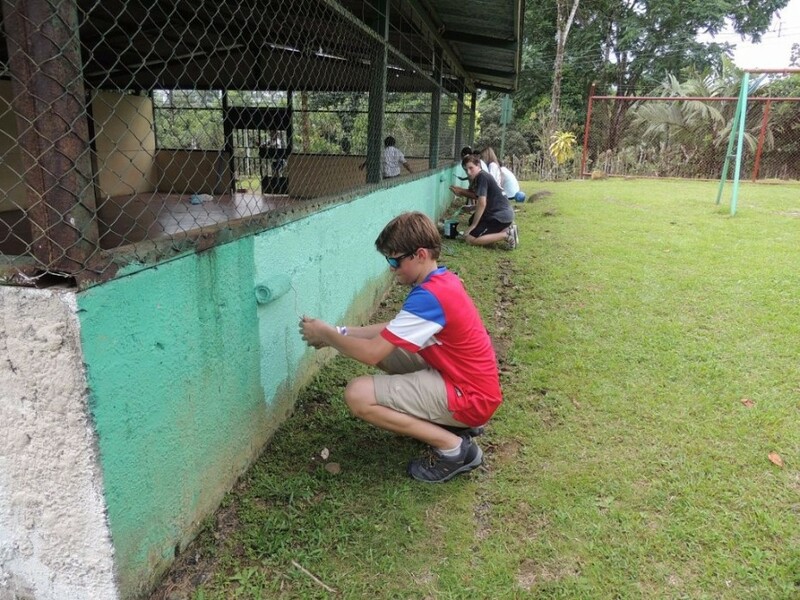 Each day was filled with hands-on, engaging experiences that allowed the students to come away with a deep understanding of the culture and ecology of Costa Rica. 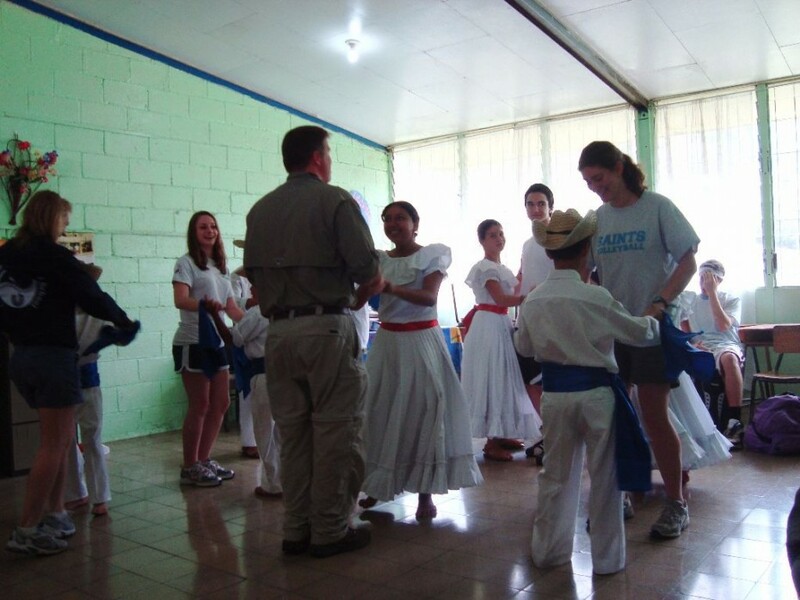 OUR ITINERARY INCLUDES NATURE, SCIENCE, CULTURAL AND COMMUNITY SERVICE ACTIVITIES IN TWO LOCATIONS IN THE EASTERN REGIONS OF COSTA RICA. THE TOUR IS APPROPRIATE FOR MIDDLE, HIGH SCHOOL AND UNIVERSITY STUDENTS. Your travel adventure begins with your arrival at the Juan Santa Maria International Airport near the San Jose capital in the center of Costa Rica. You will be met by your bilingual naturalist guide and driver, and will transfer to Trapp Family Country Inn (only 10 minutes from the airport). You will have time to relax from your travels on the grounds or hotel pool. Afterward, there will be an Orientation Session and group dinner. 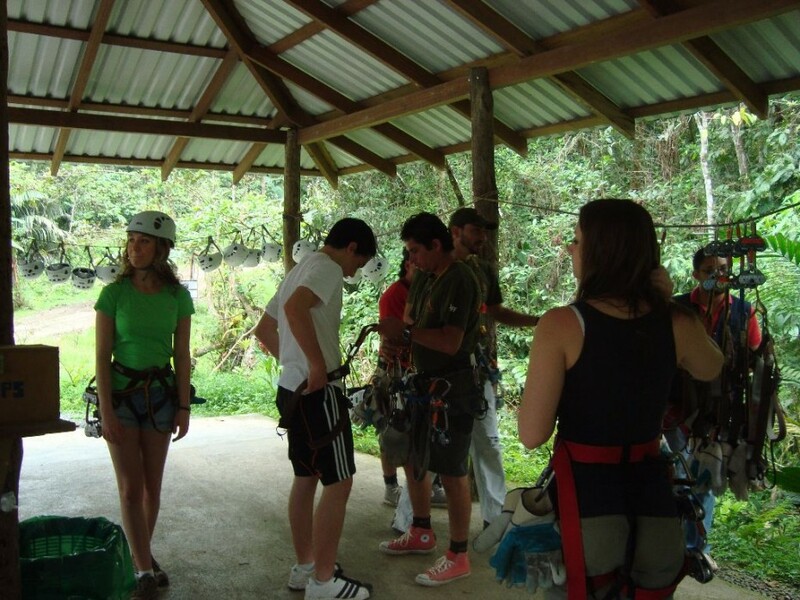 Overnight at Trapp Family Country Inn (Alajuela) or comparable alternative depending on the size of your group. You will transfer on your air conditioned private motor coach to Guayabo Lodge in Santa Cruz de Turrialba. 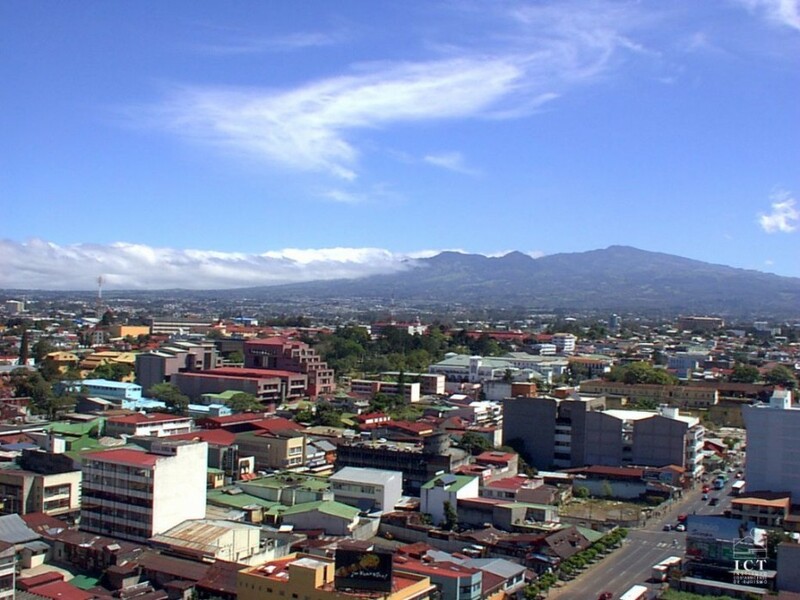 On your transfer, you will have a chance to view some of the urban areas of San Jose before you arrive in the more rural regions. 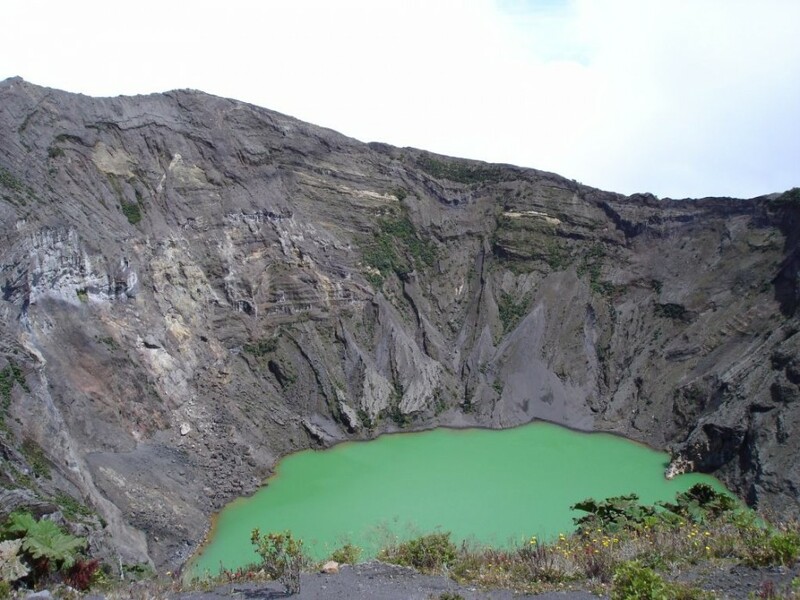 Your guide will give an overview of volcanoes before you stop at Irazu Volcano. Irazu Volcano is the highest volcano of Costa Rica with a height of 3432 meters (11,260 feet). The name Aztar (Irazu) derives from the language of local Indians who used to live upon its slopes. It means “the place that shakes” or the “mountain of rumbling and trembling.” It offers an assortment of craters, boiling mud pots, green and blue lakes, fumaroles, pyroclastic cones, and cloud forests. On clear days from the summit it is possible to see both the Caribbean Sea and the Pacific Ocean. NOTE: If weather affects visibility, you will instead tour the Basilica de Los Angeles in Cartago, Costa Rica’s first capital. You will continue along the back roads through picturesque villages to Guayabo Lodge in Santa Cruz de Turrialba. You will settle into your rooms and have lunch. 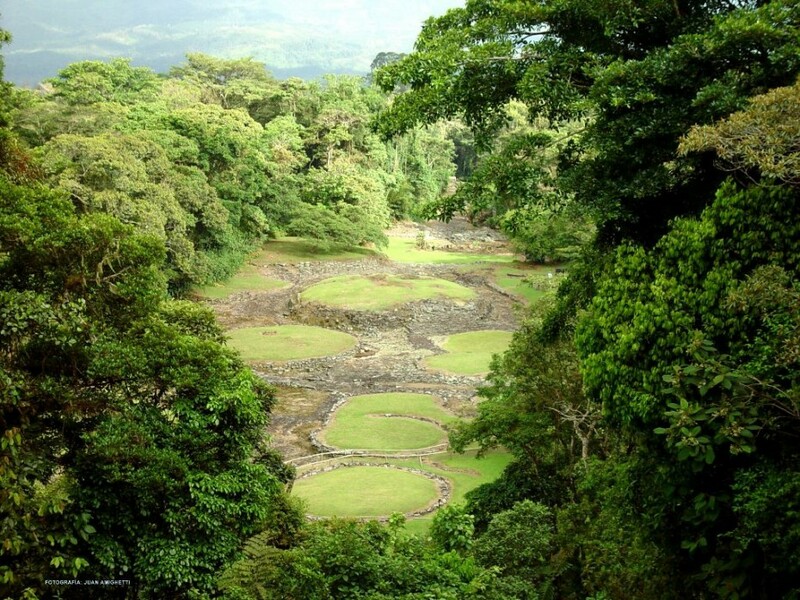 After lunch you have a guided walk in the rainforest at Guayabo National Park, the most important archaeological site of Costa Rica, dating back over 3,000 years. Some of the structures you can see include entryways (stone roads), mounds and dwelling foundations, tombs, aqueducts and petroglyphs. Your naturalist guide will also explain various features of the rainforest. After breakfast, you will begin your activities at CATIE (Center for Tropical Agricultural Research, Education and Education). With its headquarters in Turrialba, Costa Rica, CATIE has projects throughout 18 tropical countries of Latin America and the Caribbean. Its mission has been to improve the economic and health conditions of its member countries through improved agriculture. CATIE is considered the leading hemispheric research and higher education institution in the fields of agriculture, agro forestry and natural resource management. In the early morning, you will participate in CATIE’s Bird Monitoring Project in this best birding venue in the region. In this hands-on activity, you will use Mist nets to capture birds. You will examine the birds to record data which contributes to critical understanding of changes in bird populations over the long-term. In the late morning, you will transfer to Sitios Angustura, a rustic restaurant in Turrialba. 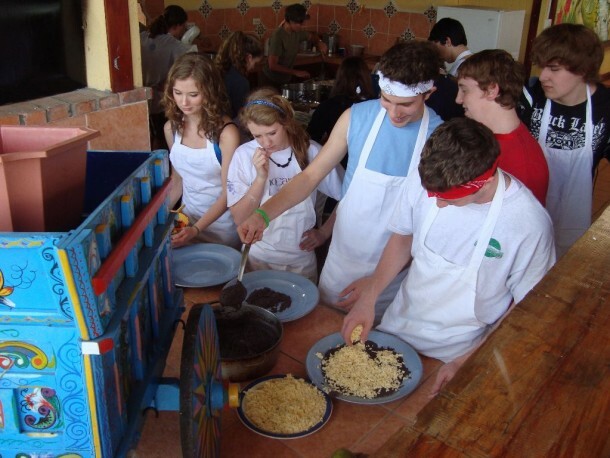 There you will work alongside the rural women in the restaurant’s kitchen as they give a hands-on demonstration in making tortillas for your typical lunch. In the afternoon, you return to CATIE to participate in the “Revive a Rainforest Project” in partnership with the National Resources Defense Council of the U.S. You will plant trees to create a bio-corridor that will connect two large biosphere reserves. Dinner & overnight at Guayabo Lodge. 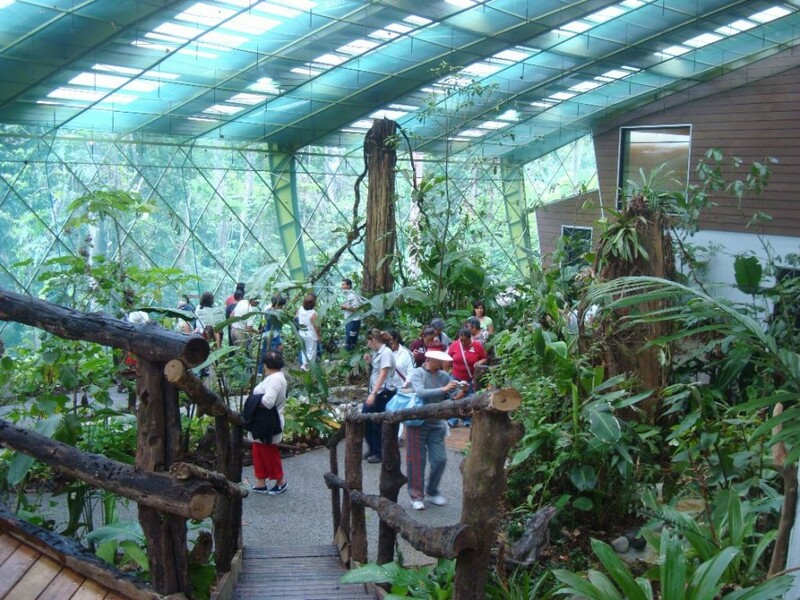 After breakfast at Guayabo Lodge, you will transfer (1.5 hours) to Veragua Rainforest Center. You will have settle into your dorm rooms, and return to the entrance for an orientation to the center and to have lunch in the cafeteria. Afterward, you will take an aerial tram ride through the canopy of the rainforest and have a guided walk on The Trail of Giants to Las Pumas Waterfall. Next, you will visit some of the science exhibits and set up your insect screen. 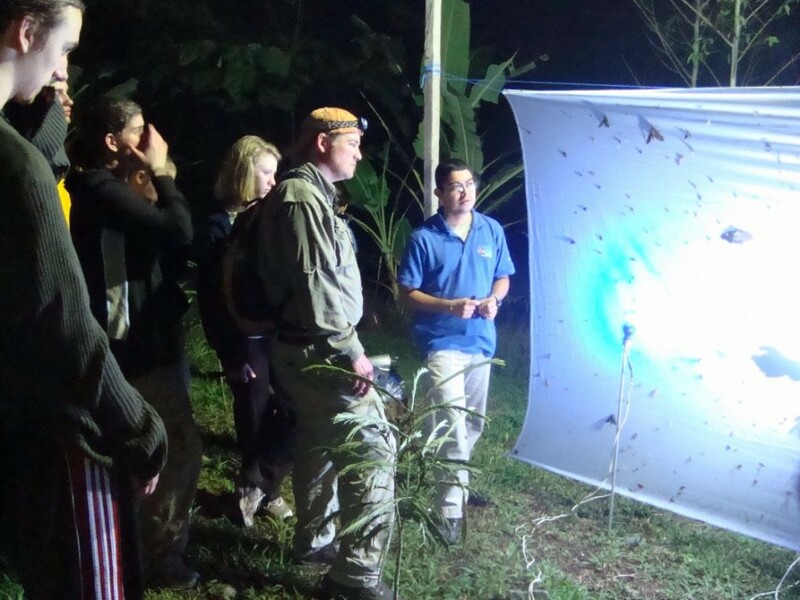 After dinner, you will have a guided evening walk through the rainforest and will return to view your insect screen. With world-class facilities, astonishing natural beauty, and a commitment to conservation and scientific research, Veragua Rainforest Park is the place to visit if you want to get the most complete, exciting and educational Costa Rican rainforest experience. Located on a 1300-hectar (approximately 4000 acre) private reserve surrounded by 100% rainforest. You will long remember your visit to the El Peje School. 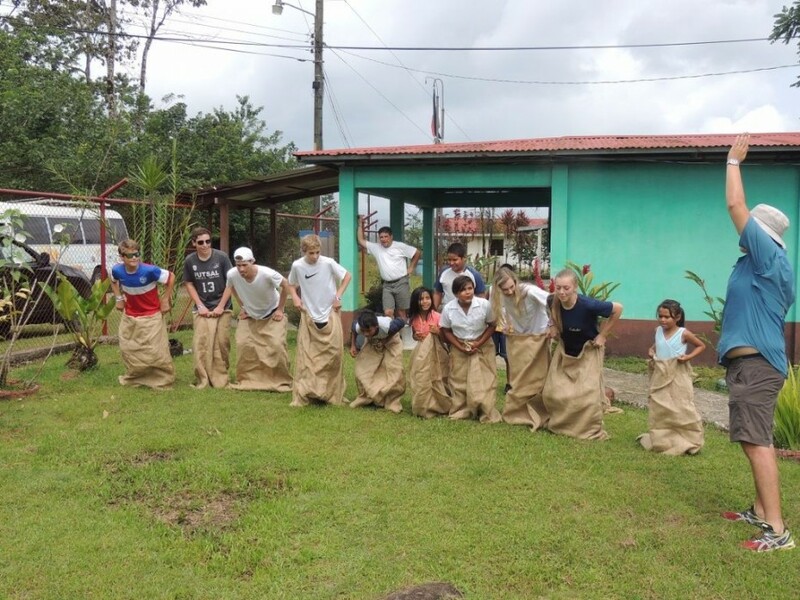 The students on our last Student Tour (April 2015) evaluated the experience at El Peje School as the highlight of their tour. The school has only a one-room classroom. The principal is the only teacher for all grades. 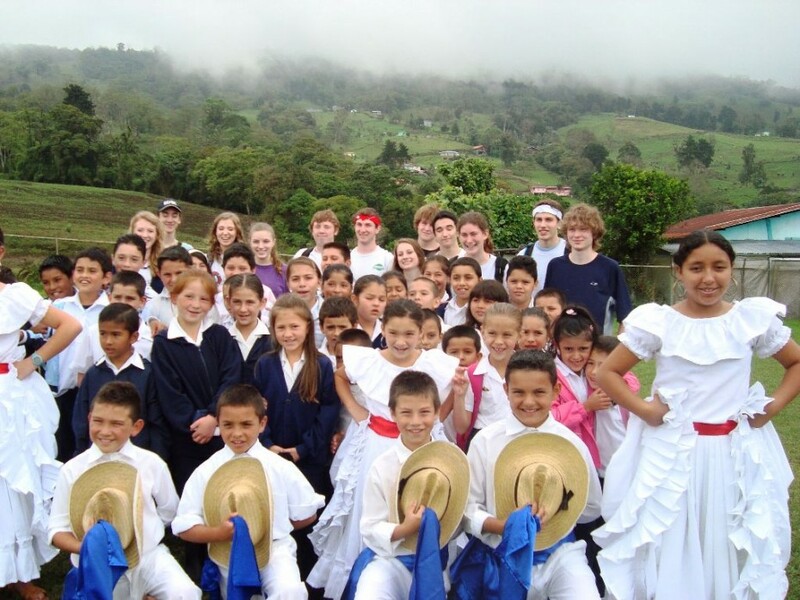 Many of the students are from a local indigenous population that lives in remote villages in the Talamanca Mountains. Many need to walk two hours each way to attend school. The principal is open to suggestions you might have for service projects. Students on past tours have painted sections of the school or the Community Hall on the school property. The school and community are very poor and in need of much assistance. You will work alongside the school children, and afterward you will participate in games with them. You will have an opportunity to practice your Spanish, and you can ask your bilingual guide or the bilingual coordinator from Veragua to help in the translations. 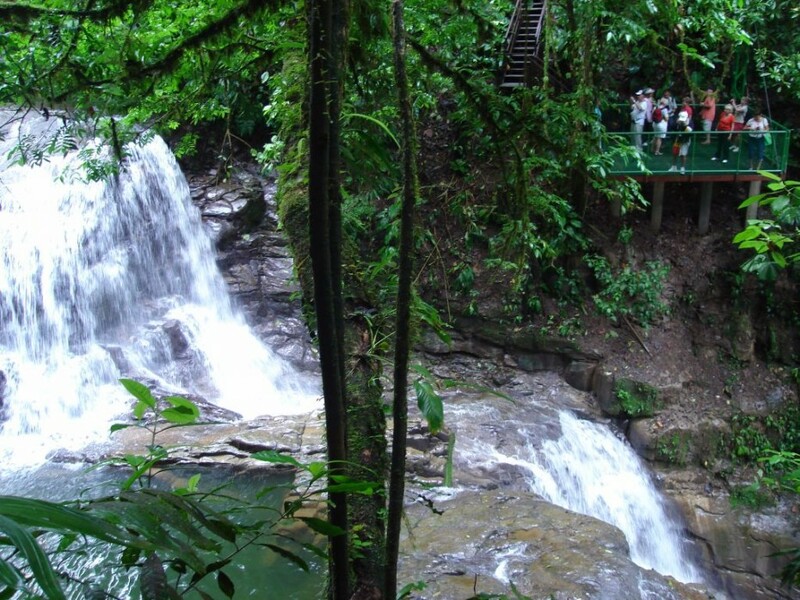 Veragua Rainforest, in alliance with The Original Canopy Tour®, offers visitors the opportunity to take this journey and appreciate the views of La Amistad International Park and Chirripó Reserve, in a unique and unforgettable fashion. 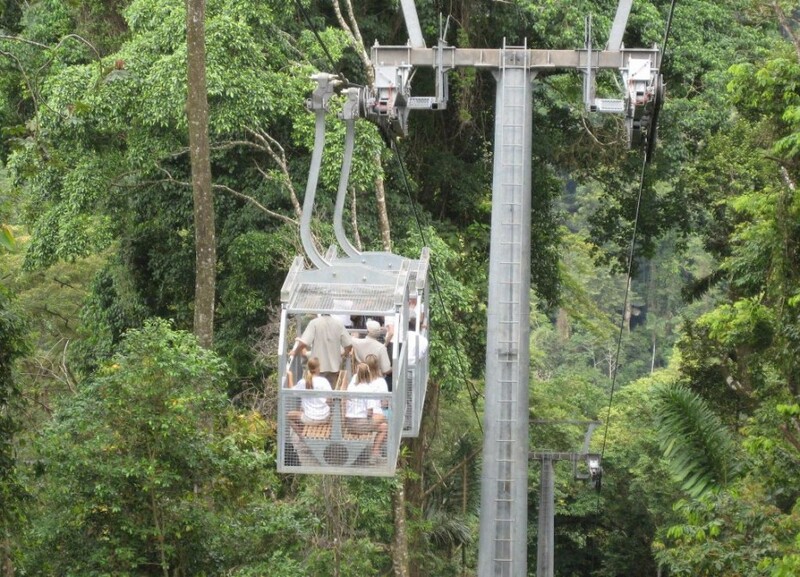 You will cross the canopy of the rainforest on steel cables to 9 platforms at 150 feet above the forest floor. After breakfast, you will have a group transfer by motor coach to the San José Airport for your departure to the U.S. where you will take your memories of your student adventure in Costa Rica home with you.